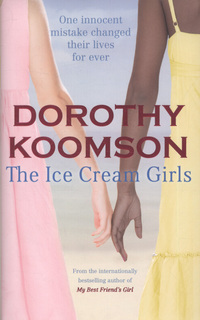 Ice Cream Girls by Dorothy Koomson – A brilliant contemporary read which has been adapted for television as a 3 part drama… The story follows two teenage girls who are accused of murdering their schoolteacher in the summer of 1995. For the next seventeen years the two girls go their separate ways when Poppy is charged with the murder. Then in 2013 they are forced to meet again and share their secret past. Starts tonight at 9.00pm on ITV. – Watch the programme and then read the book from Leeds Libraries. We have her other titles in stock too.